One of the best alternatives to braces is Invisalign® (for appropriate cases). It is virtually invisible so most people wouldn’t even know you’re having treatment to straighten your teeth. 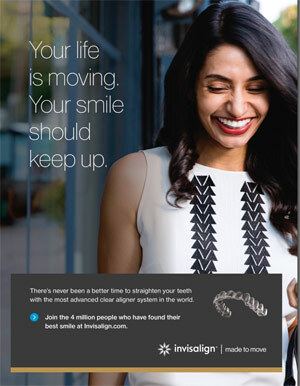 Since its development back in 1997, in excess of 3 million individuals worldwide have experienced the Invisalign® treatment, and this number keeps on growing. Dr Donny Mandrawa, our principal orthodontics dentist, is an accredited Invisalign® Practitioner, and can assess if you’re a suitable candidate. So, we do everything we can to assist with proper oral function to help treat the causes of crooked teeth as well as the crooked teeth themselves. ‘Oral Myofunctional Therapy’, or ‘Orofacial Myology’ (tongue, lip and cheek exercises) are a big part of what we do. Researchers have recently discovered oral and facial muscular dysfunctions are even related to sleeping disorders such as sleep apnoea, which ‘Orofacial Myology’ can help to correct in children as young as 5 years old. Teens and adults may also benefit in some cases. We like to work as a team with other health practitioners. To achieve an optimal outcome might require seeing an adjunctive health practitioner, these may include breathing educators, neuro-developmental or cranial chiropractors, cranial osteopaths, nutritionists, sleep physicians, speech pathologists and Ear Nose and Throat (ENT) specialists and allergists. If you would like to get more information on Invisalign, please call us on 03 9329 2929 to arrange a consultation.